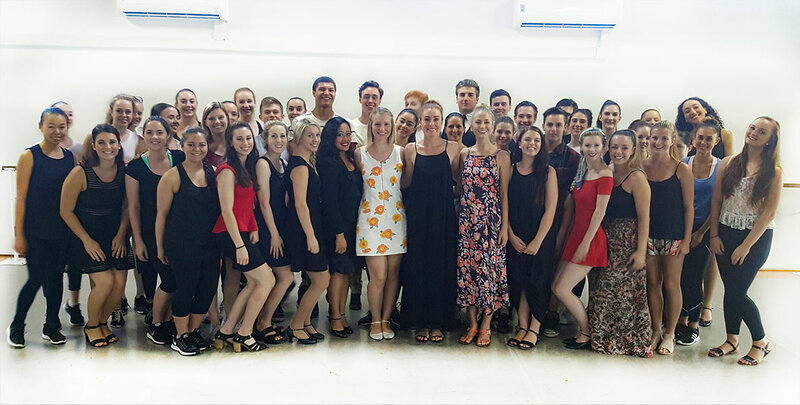 A huge thanks to @JemmaRixOz for quite an inspiring industry chat with our full-time students this evening. Jemma plays the lead role of Molly, alongside Rob Mills, in ‪#‎ghostau‬ – currently in Melbourne until March 12, before the show moves on to Sydney. She is also known known for playing Elphaba in @WickedinOz. A very special thanks for ‪#‎AnthonyCostanzo‬ – You’re amazing! Loved the added entertainment.